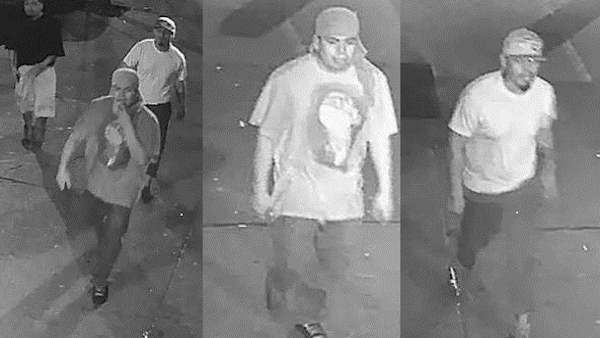 BAY RIDGE, Brooklyn (WABC) -- Police have released new photos of the men wanted in connection to a shooting outside a deli in Brooklyn over the weekend. Authorities say three men were involved in the fight that started in a bar in Bay Ridge before spilling onto the street early Saturday morning. Someone opened fire outside of a 24-hour deli on Third Avenue, shooting four men, including a 28-year-old deli employee who was an innocent bystander. The suspects fled toward 72nd Street.